(StatePoint) Nearly 25 million Americans experience daily physical discomfort, according to the National Institutes of Health, which can affect mood, mobility and quality of life. While the reasons for discomfort vary, the way it is experienced doesn’t -- peripheral nerves are responsible for delivering sensory information, such as itch, temperature change and physical pressure to the brain. 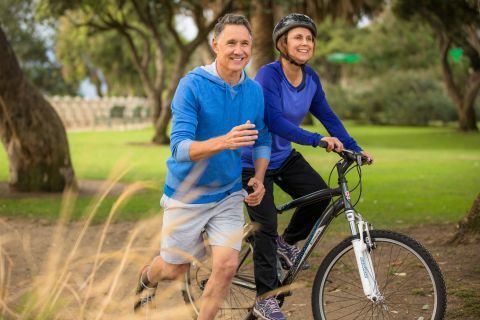 With this in mind, experts are identifying new ways to promote nerve health and comfort by inhibiting inflammatory compounds in nerve cells, and at the same time, encouraging healthy neurotransmitter levels in the brain. They have discovered that a fatty acid called palmitoylethanolamide (PEA), produced naturally by the body as part of a healthy inflammatory and immune response, inhibits the secretion of inflammatory compounds from mast cells, a type of white blood cell. As we age, our number of mast cells decreases, causing our remaining mast cells to work harder. That can make them overly sensitive, activating inflammatory processes linked to nerve discomfort. “By inhibiting inflammatory compounds released by mast cells, PEA promotes the body’s natural response to uncomfortable nerve stimuli at the cellular level,” says Michael A. Smith, M.D., senior health scientist and spokesperson for Fort Lauderdale, Fla.-based Life Extension. Smith points out that it is now possible to take PEA in supplement form. One option is Life Extension’s ComfortMAX, a dual-action nerve support supplement which contains both PEA as well as Honokiol, a naturally occurring lignan compound derived from magnolia that is shown to support “calming” receptors in the brain, known as GABA receptors, which affect the way the brain perceives discomfort. These statements have not been evaluated by the Food and Drug Administration and these products are not intended to diagnose, treat, cure, or prevent any disease, however, many experts believe they can be effective in pain management. More information can be found at www.lecomfortmax.com. “It’s only natural to think topically or locally when we wish to inhibit discomfort. However, taking in the bigger picture could mean more effective relief,” says Dr. Smith.